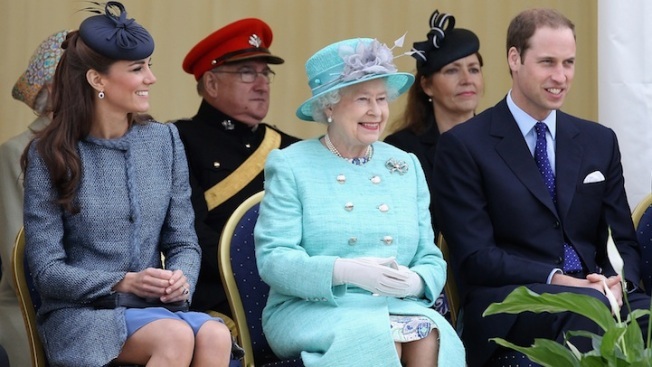 Catherine, Duchess of Cambridge, Prince William, Duke of Cambridge and Queen Elizabeth II smile as they visit Vernon Park during a Diamond Jubilee visit to Nottingham on June 13, 2012 in Nottingham, England. Asked by a schoolgirl at a public event whether she was hoping for a boy or a girl, the queen said, "I don't think I mind. I would very much like it to arrive. I'm going on holiday. William and Kate say they do not know the baby's gender. 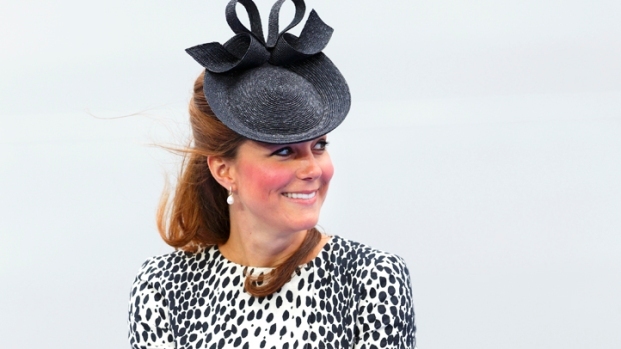 Stylists and royal watchers alike have been delighted with Kate Middleton's fashion choices during her pregnancy. Watch the video to see some of her best looks.